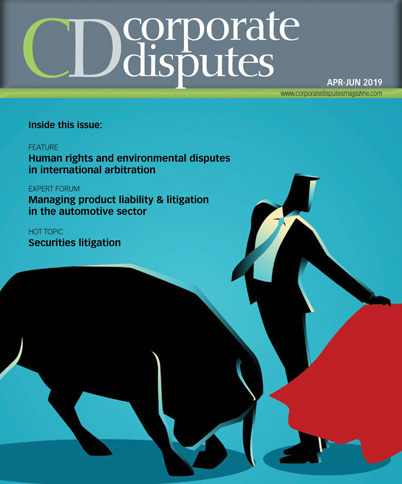 While environmental and human rights disputes are not among the biggest risks companies face, they are emerging. In a globalised economy, such disputes (and perceived corporate responsibility failures) can cause significant damage to a brand. Given the size and scope of supply chains and extended enterprises, companies are more exposed to human rights and environmental risks than ever before. Modern slavery and other human rights abuses must be a key consideration, particularly in the face of increased scrutiny from consumers, non-governmental organisations, the media outlets and regulators. Rising scrutiny of these issues is already leading to more disputes in these areas. Globalisation has taken companies into new markets in which the environmental and human rights of local populations may be jeopardised. Until recently, human rights and environmental issues have been to often either ignored or marginalised. However, it is becoming increasingly difficult to for companies to overlook their obligations. These issues have evolved, moving beyond corporate social responsibility programmes to become firmly rooted in corporate compliance. The suitability of international arbitration as a means of resolving commercial disputes is unquestionable. According to White & Case’s 2018 International Arbitration Survey, 97 percent of respondents said international arbitration was their preferred means of resolving cross-border commercial disputes and 99 percent said they would choose or recommend international arbitration in the future.